The latest edition of the Full Tilt International Poker Open (IPO) is in the book with Konrad Swinarski crowned the 2015 winner. 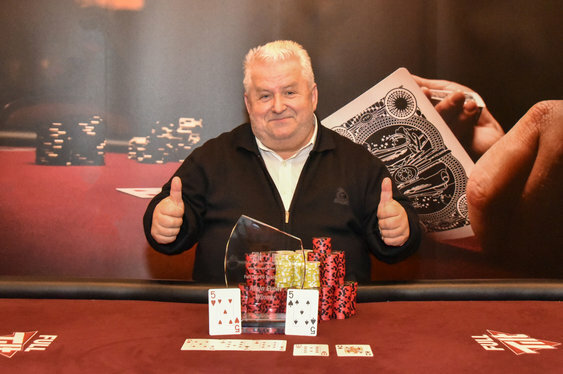 A bumper field of 1,498 entrants created a prize pool of over $326,000 with the German veteran taking the biggest chunk after three hard fought days at Dublin's Regency Hotel. By the close of play, the former power lifter had turned his $250 buy-in into just over $47,000. Swinarski dominated the final day's proceedings, working through a strong lineup of Irish talent at a final table that included Patrick Kiely, Michael Stephens and John Fitzgerald. Hopes of a home win ended with the departure of Alan White in third after he took a stand with Ah5c on the button before getting unlucky by running into the pocket 10s of Christian Bocher. Bocher looked favourite to defeat his countryman but lost a stack of chips after an ill-timed triple barrel bluff. With the stacks pretty even, the German duo agreed a chop that levelled up the payouts. They played on for the title with Swinarksi sealing the deal after flopping a set. "I started playing at Full Tilt," said Swinarski. "Everything I achieved started there. Nevertheless, I wouldn’t have won this event without the great atmosphere I found in Dublin. Thank you Full Tilt and thank you Dublin."